Welcome to another round of our weekly writing prompt link-up. If you’re new here, we’re so glad you’re here! You can learn more about the link-up and how it works by clicking here. This week we’re in for a real treat because the one and only Alia Joy agreed to share some words just for us! I’ve admired Alia’s writing for a loooonnnng time . 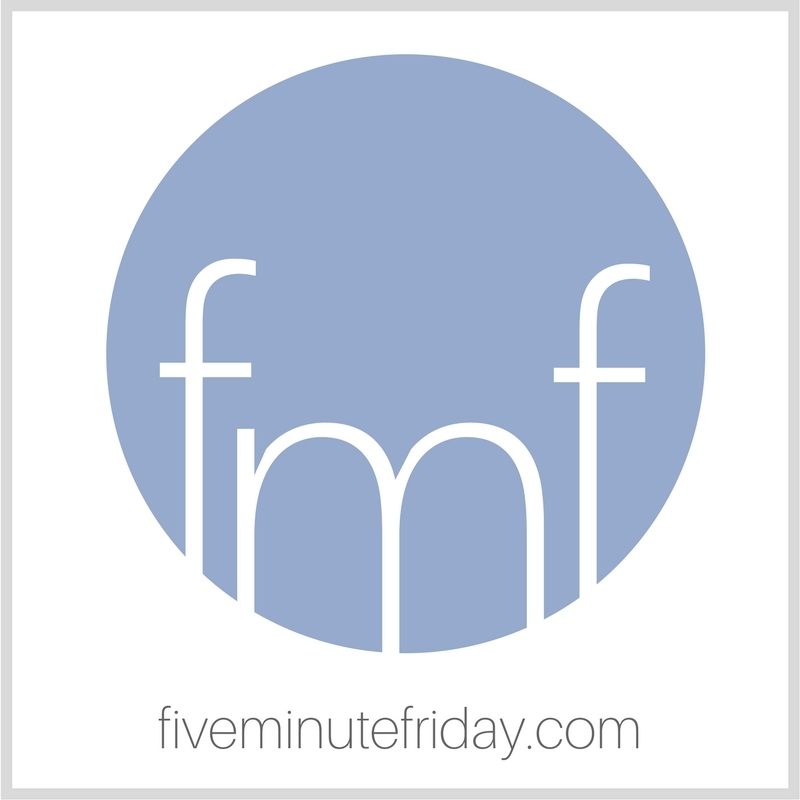 . . even before I started hosting the Five Minute Friday community. Alia has a soft spot for FMF since she used to participate in the link-ups back in the day. If you haven’t picked up a copy of Alia’s new book yet, I highly encourage you to do so. It’s called Glorious Weakness: Discovering God In All We Lack,and it really is glorious. Our prompt this week was inspired by the release of Alia’s book . . . I set out to make sense of my world. I climb aboard in my youth, when I claim Jesus as my Lord and Savior and scribble epiphanies in my NIV Study Bible. I launch across the velvet sea, set my sails to catch wind that hasn’t blown. I linger in a calm that I call boring, seemingly going nowhere. But my limbs long to feel the cool of waves, I want saltwater breath and a sun-bronzed brow. I wait for adventure, for movement, for the great Why of it all. I’m restless for the next horizon. Compass in hand, its face cracked and wobbling toward true north, I follow the arrow, its arms bent like a weary cross. I scavenge for beauty, for wonder, for my final destination to arrive at and map out for others. I want to be Captain not crew. The lack of movement leaves me feeling adrift with no purpose. Wasn’t a good Christian supposed to get stuff done? Weren’t we supposed to bring in the big haul, our nets full? Weren’t we supposed to walk on water and not be afraid. So I heaved my breast and swung my arms until I could feel every corded fiber of bicep and tricep, pectoral and trapezius sectioned off like my anatomy was a puzzle of burning pieces. Like I was a girl dismantled and scattered while God shuffled and tried to recreate the picture promised on the front of the puzzle box. And that spasm, the ache of shoveling mounds of sea like I was a girl trying to move a mountain with nothing more than an oar and blistered and bloody palms, it wasn’t enough to stay afloat in the bobbing arms of despair. I took to paddling when the wind didn’t blow enough to displace a single strand of my hair. I didn’t know God had anchored me. I didn’t know I didn’t need to make my palms bleed. Jesus did that for me. I didn’t realize I could curl up next to Jesus in the stern and find rest. Her first solo book, Glorious Weakness: Discovering God In All We Lack is available on Amazon. You can follow Alia Joy on Facebook, Twitter, Instagram, and Pinterest. and that’s bad as it sounds. and I am out of rounds. and by morning will be dead. from the moments that remain. and with ka-bar in my hand, I’ll walk through Heaven’s door.